Just because I say “I am flying out to Dubai on [insert day/date]” it doesn’t mean I am actually going to be in Dubai. In fact, in my recent trips to the UAE, the only time you’ll find me there would be (a) to meet up with a good friend of mine who does live in Dubai, (b) to shop, usually at Dubai Mall and you’re most likely to find me in a corner somewhere inside Kinokuniya, and (c) to eat – I was invited to a couple of high-end dinners and the food was amazing. Dubai feels almost like Las Vegas in parts. Both cities flourishing in the middle of arid desserts, stretches over miles of land with gigantic buildings, wide avenues to accommodate multiple car lanes, opulent (if not clichéd) display of wealth, and in cities where imagination is the limit, spectacular feats have been achieved. 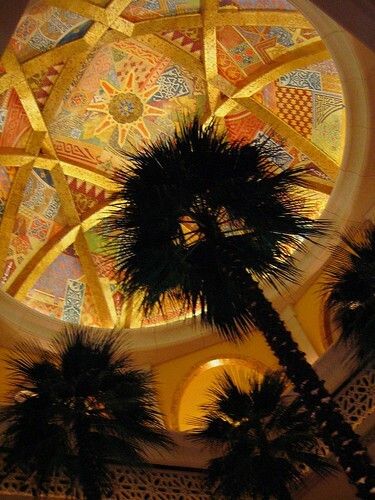 However, in Dubai, big casinos with neon signs are not lining the avenues. You don’t get married here by Elvis impersonators. Alcohol consumption is uncommon whereas hubbly bubbly won’t be missing from the table side. The main driving force of the labour market is an enviable troop of expats from India, Pakistan and Arabian Peninsula, so numerous are they that less than 20% of the population are Emiratis. Not only that, men also outnumber women at a ratio of about 3:1. Identifying the locals is not difficult as they normally adhere to conservative dress code. The men wear kandura (white ankle-length shirt) and ghutrah (headdress, also in white) which is held in place using agal (accessory of black cord). Some also wear ghafiyah (prayer hat) underneath the ghutrah. The women typically wear abbaya (black over-garment robe) and hijab (headdress) – mostly shayla rather than niqab or burqa (which I admit to not have seen here so far). If you think the ladies’ garments are boring, think again. Often, the abbaya have beautifully embroidered sleeves, collar and hem, and even styling the shayla is an art of its own – check out this article on the latest hijab fashion! In addition, underneath the abbaya, they’re likely to be wearing chic designer offerings or top and jeans combo that you and I are accustomed to. I believe the skyline of modern Dubai can give Manhattan a run of its money (I’ll let you know for sure what my view is when I get to see it for myself). 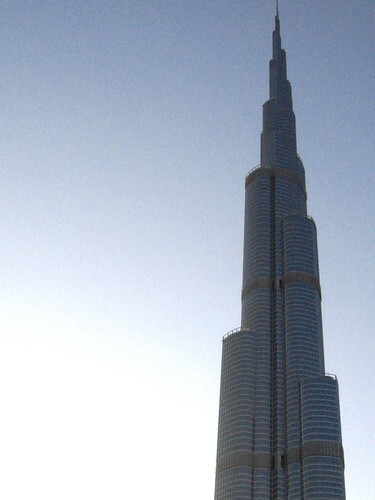 Burj Khalifa towers over all structures and can be seen miles away when travelling towards Dubai. At 828m in height, it is no wonder the other buildings seems dwarved in comparison, even when over 50 of these are each taller than 200m – that’s at least 126 of me stacked one atop another. As I’ve said right from the start, this city is built based on a very large scale! Don’t count on admiring the famous sail-shaped Burj Al-Arab from most part of Dubai city. It is located off the coast of Jumeirah, to the west of Dubai. Unless, of course, you’re driving out to The Palm Jumeirah and wanting a peek at The Atlantis Dubai, or taking a tour on the hop-on, hop-off buses (blue route, folks). 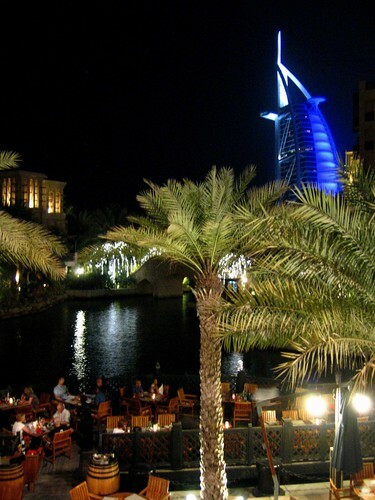 Then, you simply can’t miss it, to your right when travelling towards Jumeirah from downtown Dubai. Personally, I have not yet been on the hop-on, hop-off buses so I can’t tell you if it’s worth taking. It doesn’t come cheap, at USD60 (~AED210) for 24 hours, adult ticket. However, do consider that this is a city that’s hard to get from one place to another without a car if and taxi fares are not going to be cheap either if you’re darting all over the greater Dubai area.